i have not ever fished before,but i catch fishes in my dreams. can somebody help me to explain why this happen to me?or if you have ever had the smiliar dream like me? have you fished before? and where are you from? Admin, topwaterpro1 wrote: have you fished before? and where are you from? socalbassboy wrote: youve never fished before?????? as people always feel like i am a young baby,maybe because the way i talking..not sured. i really haven't fished before,is that stupid? i haven't get a chance. i feel you are also a young ppl?yes? maybe i am leaving this board soon,gotta work..
Admin, topwaterpro1 wrote: catch a big one! What fish do you guys have in china? 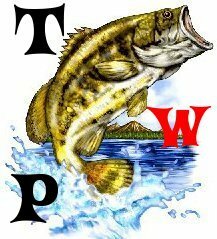 Admin, topwaterpro1 wrote: What fish do you guys have in china? there are many many small fishes,i can't tell their names. what kind of fishes you have? i believe they are more colorfull.